Jet engine cufflinks. 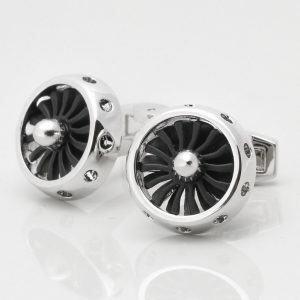 Perfect for anyone who is into aviation or perhaps a gift for a pilot. 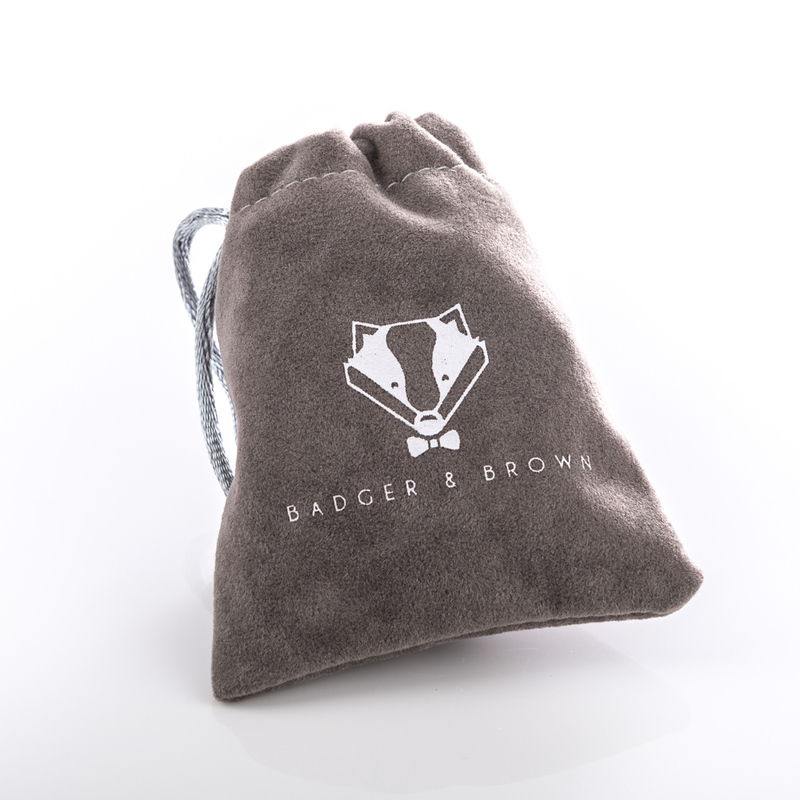 A unique design by Badger & Brown. 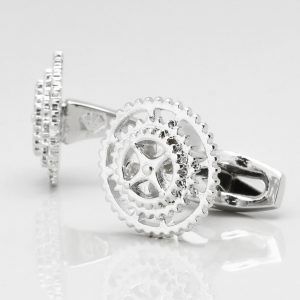 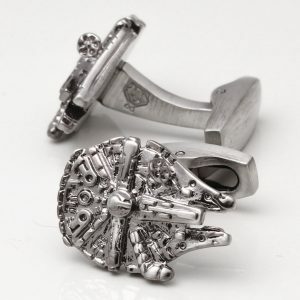 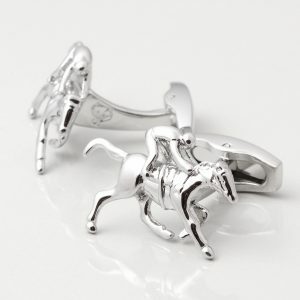 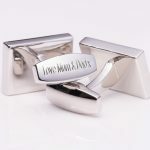 These solid rhodium cufflinks are handcrafted to a very high standard and the design is highly detailed. 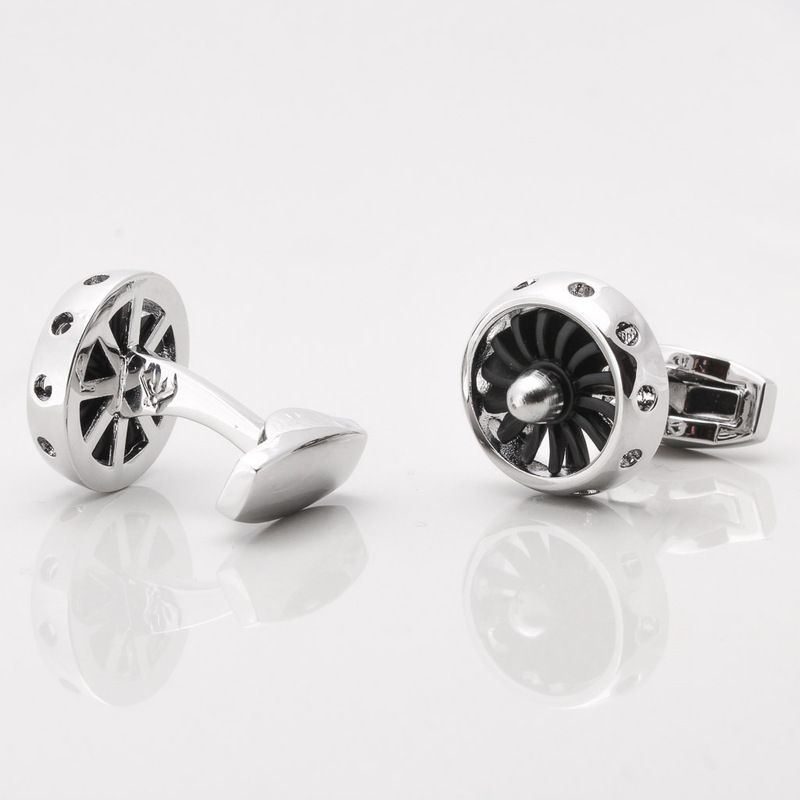 The jet engine cufflinks are connected to a sturdy stem and our strongest clasp available. The gunmetal propellers inside rotate when physically moved. 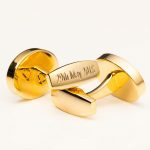 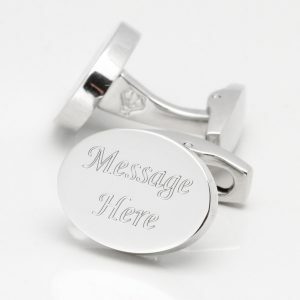 You can personalise this product by engraving the clasp (as seen in the product gallery) and we can engrave 20 characters per cufflink. 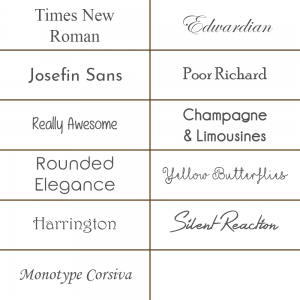 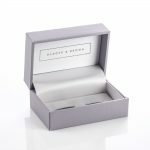 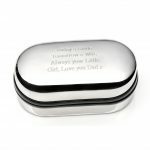 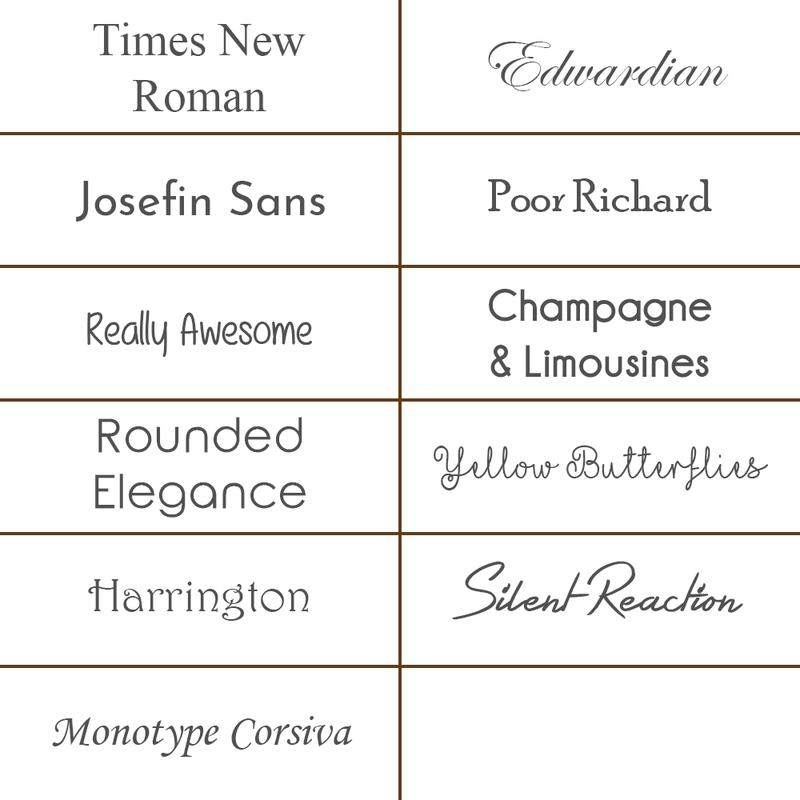 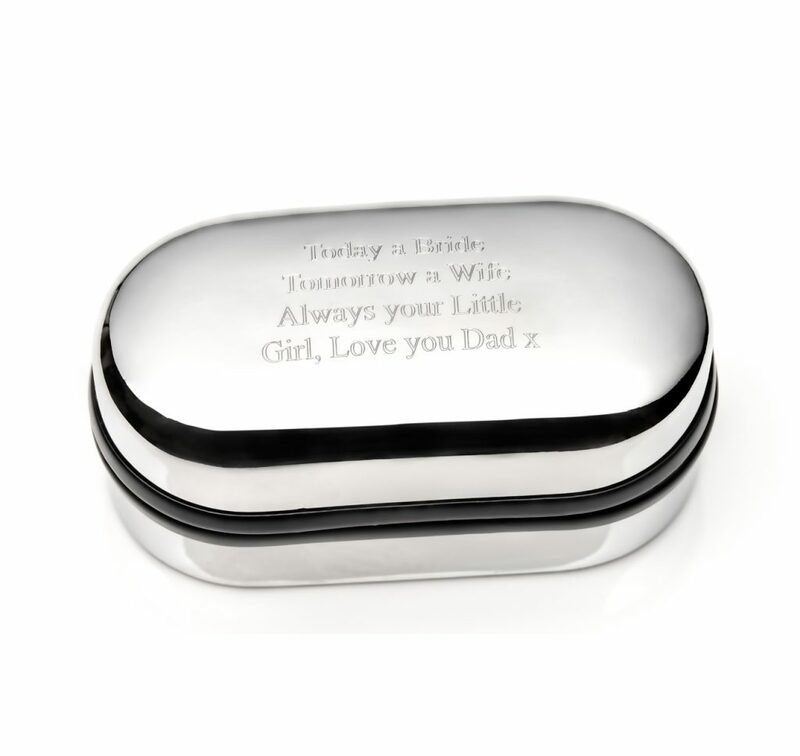 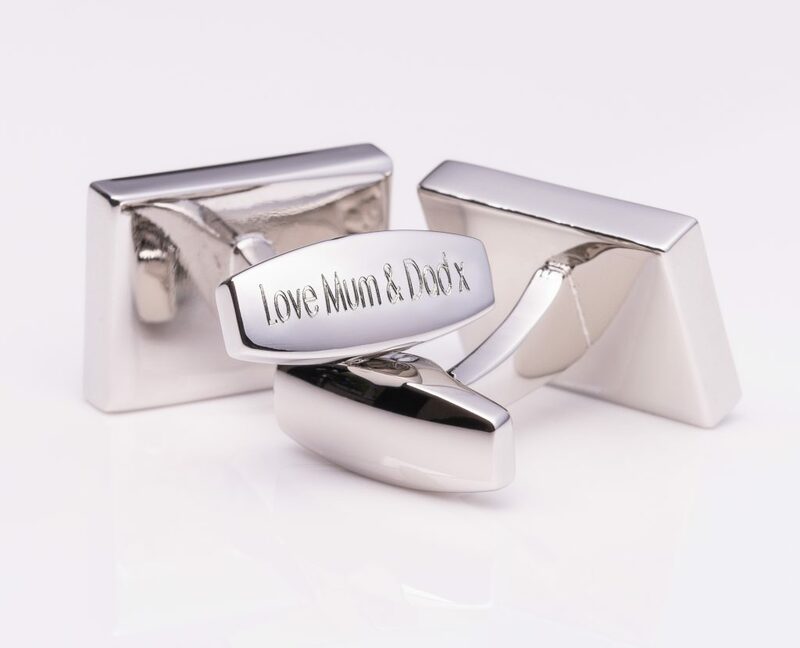 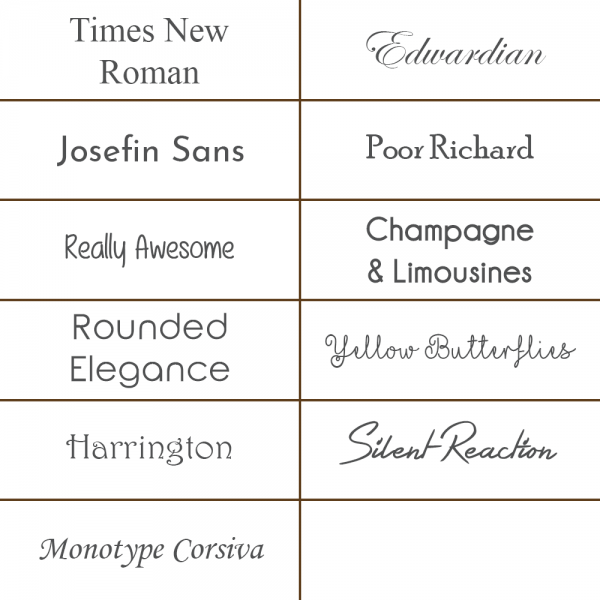 In addition to this, we offer an engraved gift box that you can present the cufflinks in, with a message of 120 characters. 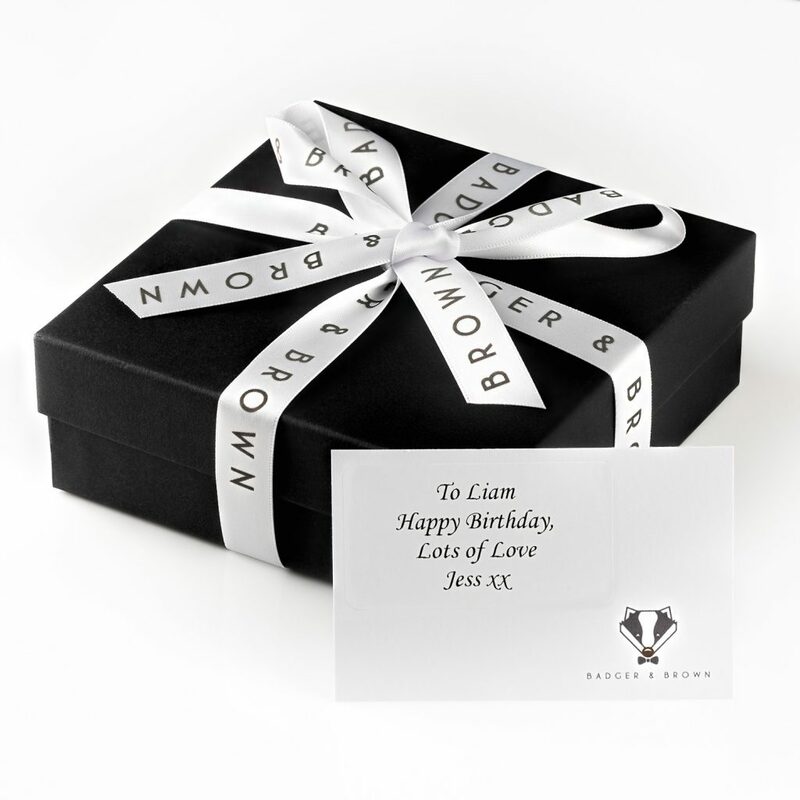 A gift wrapping service is available too. 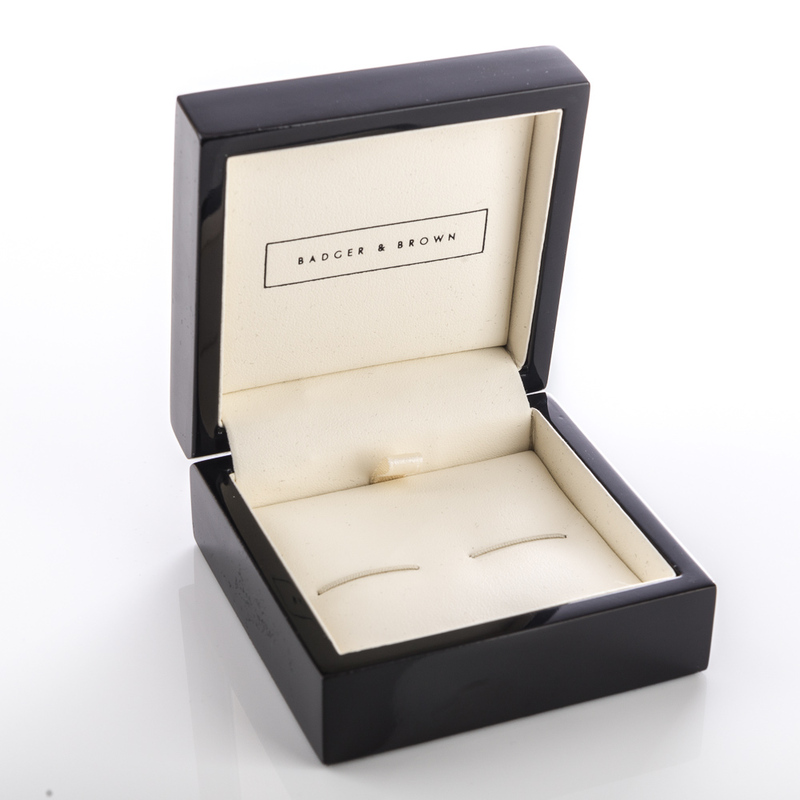 Dimensions – 18mm x 18mm.